Following in the footsteps of Guns N Roses, Motorhead and Kiss are Spinal Tap. 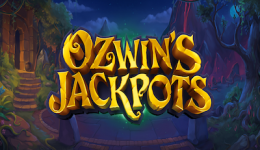 They are the latest rock band to put their name to a slot game. Spinal Tap first appeared on TV in 1979. They were created as a parody of rock bands of their time and featured in the well known “This Is Spinal Tap” rockumentary. Now you can get to know these legends through a rocktastic game from Blueprint Gaming that boasts an incredible 2187 ways to win when you turn it up to 11. 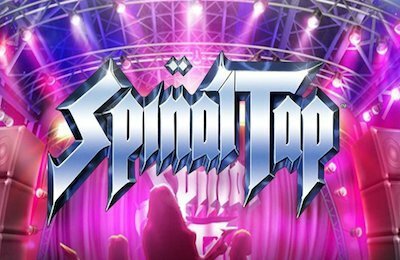 The basic Spinal Tap game is a 5 reel, 243 payline slot. Wagering starts at 30p a spin but this can be increased to £30. The main icons on the reels feature rock band members alongside card symbols. Wilds, Spinal Tap and a bonus symbol complete the roster. The top paying symbol is the Spinal Tap logo – x200 for 5 of a kind. The pay table shows payouts for x6 and x7 and these are applicable when the turn up to 11 feature activates. The ‘turn up to 11’ feature activates at random on any spin. This turns the slot into a 7 reel, 2187 payline game. It also activates four modifiers – Bonus Odyssey, Heavy Duty Wilds, Wild Sparks and Rock n Roll Spins. You can reject your first modifier award and take the next option. This is worth doing as usually the result is better. If you can’t wait for the feature to appear then you can buy-in to the 7 reel game at x50 your bet! This slot is full of bonus features. 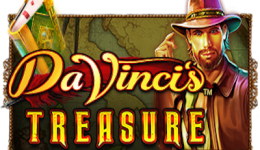 Get 3 or more scatter symbols to activate the feature and the option to play one of the following: Double Platinum Bonus, Don’t Fret It Bonus, Record Deal Bonus, Stairway To Hell Free Spins, Encore Free Spins, Stonehenge Free Spins amd The World Tour Bonus. Get the latter round and you’ll be playing for up to x10,000 your bet. In Record Deal you eliminate records for cash offers – look out for the chance to swap. The slot has a 96.92% RTP and interestingly the slot does advise that the best strategy is “leave all offers”. Whilst Spinal Tap looks great, sounds great and is full of features we can’t help but feel a little disappointed. Firstly the game doesn’t seem to work in demo mode! Secondly we could find no way to increase the bet to x50 to activate the turn up to 11 feature. Finally, despite all the features on offer none of them made an appearence. 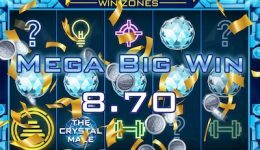 Blueprint Gaming seem to have crammed as much as they can into the game – which is great if those elements turn up once in a blue moon. Instead it’s just a case of low returns and poor win rates. The rock soundtrack is perhaps the only saving grace – but that’s not enough to make us want to go back for more.